Paul Charles Morphy possessed great intuitive capabilities to think ahead of his time and during the peak time he dominated his contemporaries much better than any other player in the history of chess. His hunger for the game was extraordinary and the speed and accuracy displayed by him was amazing. He was really humble, extremely polite and a reserved type of person. On the contrary his playing style was really aggressive and forceful. This unique combination of aggressive play and personal modesty made him the darling of millions all over the world. At the age of twenty one itself he was well known celebrity. One day, during his stay at Paris he was sitting in a hotel room with one of his friends. As the conversation went on with his friend there came an unknown visitor. To his surprise the guest introduced himself as Prince Galitzin. He told them that he wanted to meet Paul Morphy. The great man stood up and told him that he was Paul Morphy. Prince Galitzin did not believe him and asked them to make arrangements to meet the chess player. He told the player that he was too young and warned the young man that he should not to try to fool him. Galitzin was not at all willing to agree with what they said. Later the Prince was convinced that the young man sitting in front of him was Mr. Morphy. 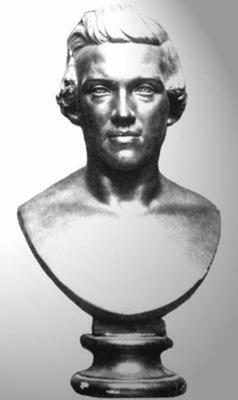 Prince Galitzin was in the frontiers of Siberia when he came to know about the feats of Paul Morphy. Since then he was eagerly waiting for an opportunity to meet the great player. They had a cordial time together and the Prince asked Morphy to go the world famous chess club in the imperial palace at St Petersburg. He assured Morphy that an enthusiastic and wonderful reception would be awaiting him. This incident clearly indicates that Paul Morphy gained monumental publicity at the age of twenty one when there were limited means of communication. Newspaper was the only mouth piece of his achievements. It should be compared with the deeds of the modern chess players. Even the mediocre players are getting undeserving publicity these days and they are more famous, not for what they achieved but for the activities outside the chess board. A calm and quiet person became famous even in the remote areas like Siberia for his monumental achievements as a player. It will be interesting to imagine what would have been his status if he had belonged to this era. Join in and write your own page! It's easy to do. How? Simply click here to return to Paul Morphy Stories and Games.